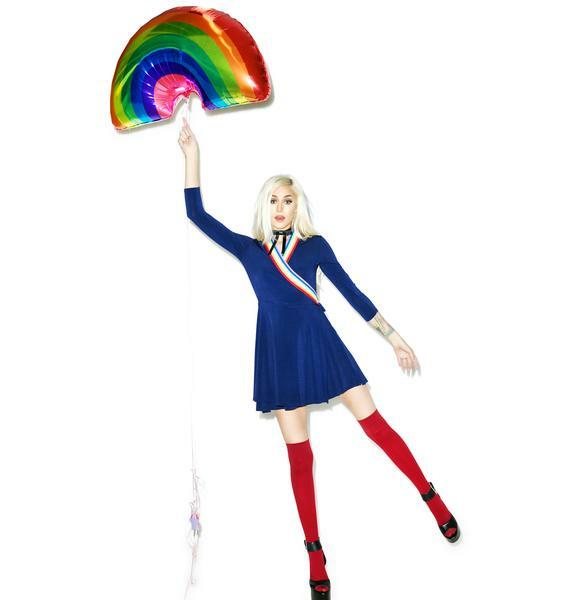 Valfré Color Me Wrap Dress ...Over the rainbow? As if! 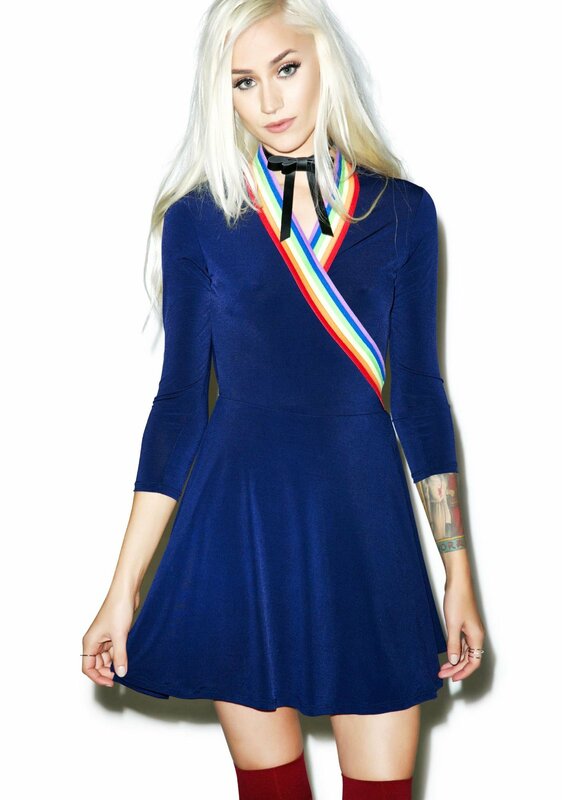 Yer 4ever fave adds fab flair to this navy wrap skater dress. 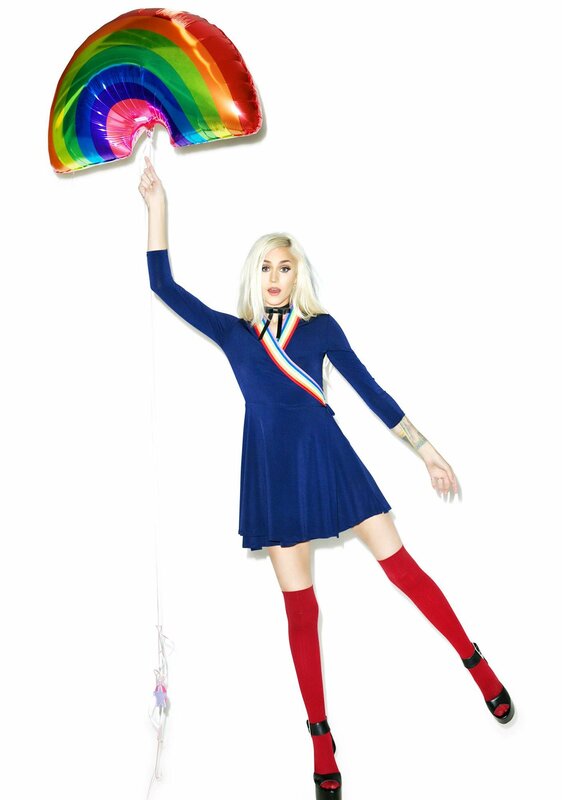 #Blessed by Roy G. Biv, this colorful retro BB features a high waist, flouncy skirt, three-quarter sleeves 'n' plenty of curve-lovin' stretch.